Today, millions of people across the United States will see the total eclipse. Day will turn into night with just the sun’s corona shimmering through the dark. It’s one of the biggest eclipses in nearly 100 years. Simply put, solar eclipses happen when the moon is positioned exactly between the sun and the earth. 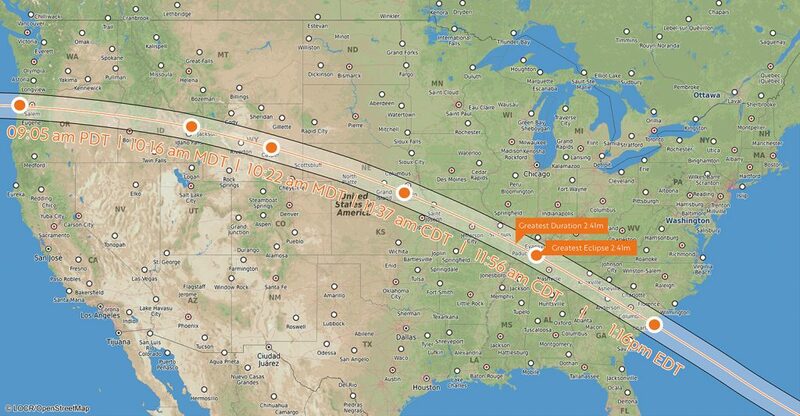 Have a look at our locr solar eclipse travel map. You can see the total eclipse path and the time it starts in the different time zones. Check out the NASA page for a Countdown until the first contact in Oregon, eclipse weather and more information. Here you will find an interactive map that tells you at what time the eclipse starts across the US. Not living in the US? Find out when the next solar eclipse will be in your country here. Learn more about whats possible with locr personalized maps here!